Facebook is set to revamp the look of your personal profile page in the very near future. Mark Zuckerberg, speaking on primetime US TV show 60 Minutes over the weekend, explained and previewed the forthcoming design changes to host Lesley Stahl, in what is sure to be seen as a major PR coup for the social network. The key design concept is to try to integrate in one place – your main profile page – all the information that is currently scattered across your Wall, photo albums and elsewhere on Facebook. Facebook will introduce a new "bio" space at the top which gives a quick overview of who you are and what you are up to, along with a more obvious photo section which runs recent images of yourself and those tagged by your mates. 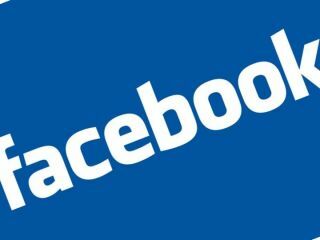 You will also be able to quickly get an overview of your history of your relationship with any particular Facebook friends, a development of a set of features Facebook already launched a couple of months back. "You can see all the things that you have in common with that person," Zuckerberg told Stahl. "It gives you this amazing connection with that person in a way that the current version of the profile that we have today just doesn't do." Most users will see the new Facebook design by early 2011. You can see more details over on the Facebook blog detailing the reasoning behind the design changes. And if you really cannot wait till January to see what the new Facebook looks like, you can sign up to change over a little earlier over at www.facebook.com/about/profile/. Finally, Zuckerberg denied that his company has plans for a Facebook-branded phone, a rumour that has proven to be particularly persistent over the past few months.